The main parts of the control system rear wiper and washer. BCM body block, fuses, combination switch, rear wiper motor and front and rear window washer motor. 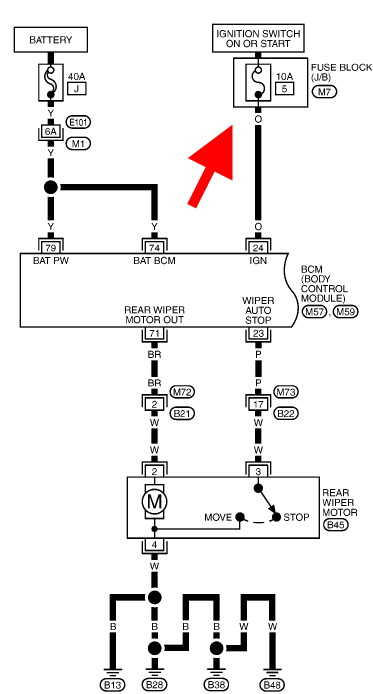 The rear wiper does not have a separate fuse and is controlled by the BCM body block. The weak point here is the rear door harness, in which the wires may break. Also, the rear wiper can simply rust. 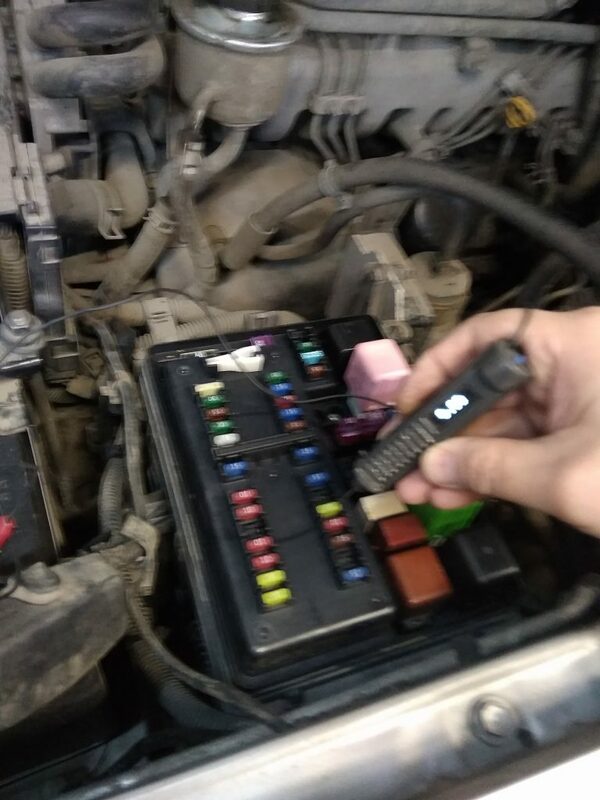 To check, we disconnect the connector from the wiper motor and with a test lamp, check whether the voltage is applied when the janitor is turned on to pins 2 and 4. 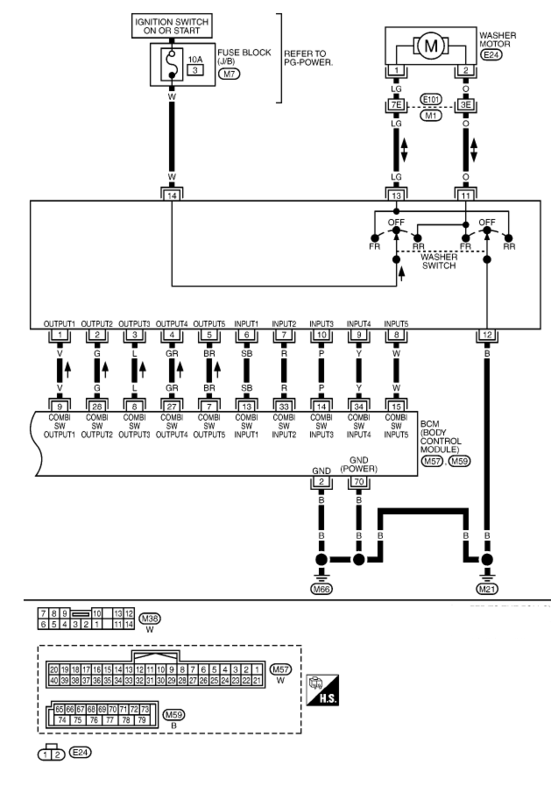 Wiring diagram of the rear and front window washer, the washer is powered by the number 3 fuse in the cabin fuse box. 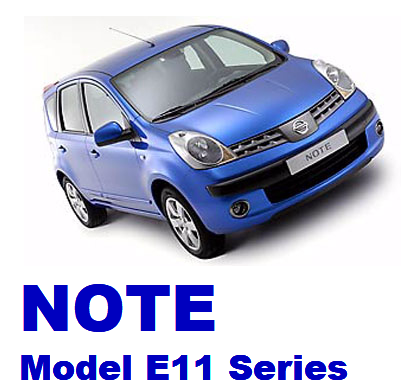 The washer motor for the front and rear washer is one, it depends on the polarity of the voltage applied to the washer pump which way it pumps the washer fluid to the front or rear window. The stalk switch is structurally designed so that the polarity changes in it.